Dear Friends, I would like to thank all My Readers for giving Me Awards. Thank you for your support! I deeply appreciate the sincere Friendship between Us. Here are shown the Awards I was nominated by very talented and skilful Bloggers. Click on the Award active images below to read more about the concrete Award. Dear Friends, because of lack of time not all the nominations are introduced with a written separate post by me and I’m sorry for that. At the same time I feel myself responsible to mention without any exception all the bloggers (and their blogs) by whom I have been nominated for these awards. So this is my sincere and boundless appreciation to all of them. Thank You The World of Alexander The Great! Thank You Healthy Glow Nutrition! Thank You Ute smile. Ute’s Happy World! Thank You Sunday Blog Stephanie Sievers! Thank You Dear Kitty. Some blog! Thank You Joëlle Jean-Baptiste – Author (JoëlleWrites)! Thank You Fashion & Style Guru! Thank You It Is What It Is! Thank You Fae’s Twist & Tango! Thank You Make Something Mondays! Thank You The Kat and The Falling Leaves! Thank You Oil Pastels by Mary! Thank You My Daily Minefield! Thank You Jurnalul lui Petit! Thank You The London Flower Lover! Thank You Jurnalul Lui Petit (Petit’s Diary)! Thank You MUNGAI AND THE GOA CONSTRICTOR! Thank You Elizabeth Cárdenas – Writer/Escritora! Congrats on your awards and wonderful blog. This page is a nice presentation, well done! Thanks much! I really tried to do my best to make the page nice, comfortable and accurate. I hope I succeed. I really appreciate all my readers and have the honor to receive awards from them. It makes a person to blog with more responsibility. Congratulations on your awards! Absolutely wonderful blog! Thank You very much! It is my honor to receive from You kind comments. You are very attentive to my blog. So do I. I appreciate Your attention and the time You spend here. Thank You again! Thank you Arlen; back to you too! I was nominated for an Illuminating Blogger Award, and would like to pass this torch to you, who is deserving of such appreciation. I am very sorry that I anwser to Your comment late. I was very busy with my job. I deeply appreciate the nomination. First, I would like to congratulate you with the award. You deserve it. To be honest, I do not have much time to create a post about this award and to nominate others, but I’ll note about this witj pleasure. Thank You once again! It is honor for Me if You think that I deserve this award. Much appreciated. Fae, I am happy that You think my efforts make difference. Thank You so much! I think that my efforts are modest in comparison with the whole world. But I always try to continue and not to lose hope. Hello! I’ve nominated you for the Super Sweet Blogging Award and I’d be honoured if you accept! Thank You Manisha very much! I’ll add this award here with pleasure! Thank You! I congratulate you too!! I shared about this award also in on FB page! Thank You Manisha. Enjoy your award, you absolutely deserve it! Congratulations!!!! Thank you so much for stopping by my blog. Thank you too for your very nice comment!! It was my pleasure to visit your interesting blog. Thank You very much, Teju! 🙂 You have a very nice blog name – singing sparrows! Lovely! Thanks Tejaswini! It was my pleasure to visit your blog. Moreover, I started to follow it as You did with my blog! 🙂 I started to follow You on Twitter too! It is nice to meet another animal lover who is so dedicated! i just did too! 🙂 it’s mutual! Dear Tejaswin, as I mentioned, it is very nice to meet a person who is so dedicated to nature and to animals too. I read your profile info, it was very unique! 🙂 Please receive my hearty wishes to you and your husband, to your whole Family! It is my honor to receive such kind of words. Thank you again, Teju! Much appreciated! Always be inspired with great ideas and great love: love to your family, to the nature, to the life, to the whole world. Thank You too! continue to follow my blog. I’ll do the same with pleasure as you have a lovely blog! How lovely it is to be validated with numerous awards! The list is going to get longer . . . .
Dear Arlen, that’s great news! My congratulations! Dear Karen, thanks much for Your kind feedback! Much appreciated! Glad to hear from You! It will be honor for me if You find time to visit my new blog dedicated to Animals and Wildlife. This is a kind of a novelty on WordPress as I try to collect all the interesting and useful posts and publication on WordPress about Animals. Hope this is a useful thing for the Animal lover bloggers and for all the Nature lovers. Առլեն ջան, համոզված եմ, որ սա դեռ սկիզբն է միայն քեզ դեռ շատ ու շատ այլ մրցանակներ են սպասվում ջանասիրաբար և սիրով “աշխատանքդ” կատարելու համար: ՇՆՈՐՀԱՎՈՐ!!! Congrats on all your awards Arlen, you truly deserve them for all the wonderful things you do! Dear Eva, thank you so much! I am glad you liked tha way I showed my deep appreciation to you and to all for the awards. Thank you very much! It was my pleasure to see also, that You began to follow my “Animal Lovers’ Blog”. thank you, dear! There are already 6 blogs that I have founded. I’ll represent another one very soon. It’s awesome all that you do Arlen, very cool! And it’s my pleasure to follow blogs that matter and make a difference, one way or another! Thanks again! Dear Eva, thank you again! Your words are very nice and inspiring! Thank you! Thanks, Audrey for your kind feedback! It was my pleasure to visit your nice and interesting blog too! I started to follow it with pleasure. Hope You enjoy mine. Thanks for the likes, appreciated! Thanks much. It is an honor! I have already one Super Sweet award from Manisha Mishra (India), now I’m nominated by you! Thanks much! I’ll add this award in my Award list with great pleasure! Thanks for the Award again!!! In the evening, at home I’ll elaborate the “Awards” page and will add the icon of the award given by you! Thank you once again! Thank you my dear! Much appreciated! Hi Arlen, good news; I have nominated you for the Reality Blog Award! Thank you very much! I em too busy with Yerevan’s Anniversary! Can I just add the award to my “Awards” list? Or I have to right a post? Hi Arlen, congratulations to you, and to Yerevan! Hello! Thank for the congrats! Firts I would like to congratulate You! You deserve all the awards You have an enormous energy!!!! Thank you! I admire with your boundless energy! Congratulations dear friend & continue the wonderful & enlightening work! Thank you dear Teju for considering my work as wonderful & enlightening! I am very flattered! Thank you for your support and encouraging! Much appreciated for your inspiring comment and for the nice award! Recently I do not continue the row of mutual nominating, but I am going to add this wonderful award here, in my award’s list with pleasure! Anyway, thank you VERY VERY MUCH! I would like to thank you AGAIN! It is my pleasure to see the award given by you to me! Thank you so much, dear Sharla! You have a very nice blog. It is my pleasure to follow it! “I write from the heart inspired by life and God’s love; for America, our country, your land and my land: A message of sacrifice, a message for freedom” – beautiful info for your Twitter page! The response you made about my description on Twitter. I appreciate the comments. That may be why they do not show up as posted when I reply. I was wondering if you received them so this just may be the explanation. I appreciate your words as they are inspiring as always. Recently I was watching the video where you are dancing on the stage. Very beautiful performance. Thank you, I am humbled! Glad you liked the performance. I liked it very much! Thans for sharing it! Wish you new performances! I’m sorry , Arlen; I nominated you for yet another REALITY award…I should have checked this site out first! However,I do appreciate your blog so much! Thank you dear Tonette very much! I’ll add the award here with great pleasure! It was a great pleasure to read your nice posts too, dear Sweta! Thank you! You are so kind and polite person! Thank you again! It is so nice of you! I accepted your award with pleasure! Each award is dear and close for me! Thank you, Sofia! I’m honored dear Sofia! Thank you so much! You will reach everything as a writer as you are very talented writer, very polite and gentle young person! Iam sure you will reach much success! Dear Sofia, I would like to ask you something. I do not know why it happens but all your comment first go to spam and then I have to mark them as not spam. Only after these steps I am able to moderate them. Please, be so kind to check and correct your mail and URL addresses when you write a comment. Besides you should also scan your PC, as it may be infected! Sofia, I am so sorry for answering late but this comment I found again in the spam, that is why I am answering only now. Yes, I think the porblem is technical. I can even imagine what is the problem. When you write a comment please paste your blog address copying it correctly and not writing it by hand. This mayve one of the problems. Another reason is bad network communication and finally one of the reasons can be your IP. That is why you had better first scan your Personal computer, then check out all your links, when writing comment paste correct links and E-mail address and finally write the symbols correctly, dor exapmle *:'(* or *:s* are not correct and may cause a spam. BTW, push space before 🙂 because it may cause spam. I do not understand the reason of this problem but definitely it is a technical problem. You have an impressive list already! Keep it up! Your work is great and so is your personality! Dear Sofia, You made me to blush! 🙂 Thank you so much! Much appreciated. Wish you so much good in all your efforts! Nominated you for an award 🙂 Must be 100th on your list already, but i wanted to give it to you anyway! You are an Inspiring Blogger and an awesome blogger and friend by all means! Thank you so much! I already shared your post via Twitter and FB! You are very good friend too. It is so nice of you! You deserve all that award and accept my sincere congrats! Thank you for the award! I appreciate it very much. It does not matter whether it is the 100th or just only the 2nd! 🙂 I apprecite it anyway. Thank you! Hi, I have nominated you for the Very Inspiring Blogger Award, since I felt your blogs have been very inspiring to me. Just found out, that you have already loads of awards… I guess for a good reason! Thank you so much! I am going to create a post about this award! Thank you again! And congrats on your award, you deserve it! Thanks a lot! All the best to you! The same to you, my dear friend! I like your blog very much! 😀 😀 Thank you so much my dear! It is hard to find appropriate words to express my appreciation to you! Have a great evening! You deserve all the awards as you write so sincerely. My dear friend. Thank you so much for the award! Thank you also for the mentioning about the gravatar! I deeply appreciate all you do! Great work!! Congrats on the award! I am going to add it to my awards with GREAT PLEASURE!! Thank you so much, Arlen! I wish you and your blog many more years! Thank you too, dear friend! I would like to express my deep appreciation to You! You do a great work! Of course you will not as your blog is a special colour in WordPress community! Thank you so much, my friend. I am honored. Congratulations on your award, you DESERVE it totally! My pleasure 🙂 All my best wishes for you and your blog! I always admire your energy and inspired efforts! I would like to thank you for your great job! Be always in blogosphere, this is your mission. Thank you again! Thank you so much, my dear friend! Your permanent attention to my blog is very important for me. I am so honored with your award! Thank you! Thank you again! It is my honor to be nominated by you! When my blog started on WordPress, I had a standard header picture. I removed it, as it took attention away from the videos or photos in my blog posts. But I think that you can find an appropriate photos for your header field. Indeed. For me, this is in thousands of blog posts from 2005-2011. True. I do it gradually 🙂 For instance, when I see in my stats that someone clicked on an old link, which does not work any more. Yes, this is a real problem. You know, not all the bloggers are so attentive to their old posts. Payint attention to the old posts and refreshing, updating them shows the real quality of the blogger. Sometimes, when I replace old links with new, working links, I also use Zemanta for extra links. Zemanta offers usually 10 links. Sometimes, I can use all 10. Sometimes only 0, 1 or 2. Interesting info, thanks. I visited Zemanta, it was interesting. Maybe you already knew that Zemanta is a standard feature of WordPress. However, you have to activate it. And it only works in Visual mode when you write a blog post. THAN YOU SO MUCH! I did not knwo about this plugin! Thank you very very much! I started to observe it and understand how it works. I read the article you sent me. Thank you again, you helped me a lot. I hope I’ll be able to use this toll successfuly! OK, I tried but there were seen only the other blogs. Just a little question: You definitely need to egister in Zemanta for your links to be seen in other blogs? Whether other (WordPress) blogs display your Zemanta links to them, is up to those other bloggers. They get e-mails telling them about those links as comments. They can then decide whether or not they will approve them. Please, see my last post about elephant’s trunk. I moderated Zemanta in this post. Please see, is there everything OK? Did I use this toll rightly? Because I noticed that in your Related articles there were mainly your links, the links from you blog. Maybe I must write and publish some new posts for the Zemanta to gather them in Related articles, right? Sometimes, Zemanta does not suggest any link to blog posts by me; only to posts by others. That is usually when it is about a subject which I last wrote about over a month ago. Understandable! Thank you! Thank you for your patience to help me and give advise. I hardly ever use the images feature of Zemanta. A matter of individual taste. I agree with you. The main problem with this images is that you can not put them below the post. Yes, absolutely right, I understood how it works! Thank you so much! I guess one can choose when and what he wants. Do you think it is really useful to put all those links of other blogs? It is useful for them, but not for your blog. Or maybe I am wrong. Yes, you can accept or reject each suggestion by Zemanta. If you have selected a link in Zemanta, then you can later deselect it as well. I think links to other blogs, or, eg, to newspaper sites (which Zemanta may also suggest), may be useful if their posts add information about the subject of one’s own blog post. I agree with you! You are right! I have been using my self-created lists of links for months. You know, it is useful indeed! Hello my dearest friend! I am so sorry for answering you so late! I appreciate your award so much! Thank you so much! BTW, I share some of your posts with my friends from various scientific spheres. They are very interested in your blog! Thank you very much for the gift of lions’ video for me in your post! I am so touched. You know that I love lions and nature very much! Thank you so much! I shared your post on FB, Twitter, Google + and wrote that there is a unique gift for me from the author of the blog! Thank you again VERY MUCH! Dear Arlen, thank you for those kind words! They are important, while WHEN you write them is completely unimportant 🙂 And thank you for sharing the post! “They are important, while WHEN you write them is completely unimportant” – to be honest I did not understand what you meant. I felt so bad when I noticed that my answer was rather late. I respect you very much and I always try to keep in touch. BTW, your last award given to me was again my first one! Thank you again! OK 😉 It will be my pleasure! I have the honor to receive such words from you! Congratulations. So truly deserved – such a creative and gifted person. I am honored to receive such sincere and inspiring words from you! Thank you! Միանում եմ բոլոր բարեմաղթանքներին, շնորհավորանքներին և գովեստի խոսքերին: Պարզապես ուզում եմ մի բան ավելացնել. I have nominated you for the Blog of the Year 2013 Award. Thank you so much. After a very long pause, this is my new and very honorable award recevied from you my dear friend! Much appreciated! It is well deserved 🙂 All the best for you, your blog and people in Armenia! All the best to you too my friend! I am proud of our friendship which lasts a long time. I’m very glad for that! Thanks for your kind words! We’ll meet again on the Internet! I am so honored my friend. This is a great gift to New Year! 🙂 Thank you! And please, aceept my cordially congratulations as you deserve this award totally! NOw I am going to add this lovely award/gift to my awards’ list! Thank you! Thanks for your kind words! All the best for you and your blog for the rest of 2013, and for 2014! The same to you my friend! Thank you so much! All the best to you in 2014! You deserve all the best! You did a great job in 2013 and I am sure that you’ll continue your sincere efforts! The last two awards were given by You! I thank you so much! Sharla, I am so honored, this is a great gift for New Year! 🙂 Accept my cordially congratulations! You deserve this award! I am sorry, I did not notice this award and did not receive any notification. Thank you again my dear! My friend, I am so honored. Forst of all I would like to say that I am very glad and much honored that you associate me and my blog with lions! 🙂 Thank you! I am cordially glad, because all my life I love lions and this is honor for me to see that you have presented my blog in your post with the video about lions. Thank you again! This award became one of my favourites!!!! Thank you! And I deeply appreciate that! I deeply appreciate your efforst to show your sincere symphaty to everything I do as well as your sincere support and friendship! Thank you my friend! You always have my support! Thank you so much for this wanderful award!!! This is my FIRST award in this year! Thank you so much! I am so honored! Your blog is one of the most favourite blogs for me for almost two years! I am a big fan of your blog and always remember that you have a good friend! I added teh award to my award’s list! Thank you so much!! You are always very welcome at my blog 🙂 All the best for you, your blog and people in Armenia! THANK YOU very much! It is my pleasure to follow you blog! All the best to your country and people, too! 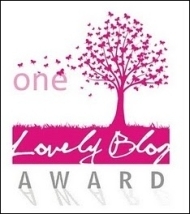 I have nominated your blog for the Love and Kindness Award. Thank you very much!! I am very honored with your attention! Thank you! I am honored with your friendship! Thank you very much, my friend! I am so honored! Congratulations on your award, you totally deserve! I hope this well deserved award will cause more people to get to know your blog. I have nominated your blog for the Paragon of Fine Art Blogger Award. Thank you!!! very much! It’s an honor! I’ll add this award to my awards’ list!!! Much appreciated! The same to you! We keep our friendship not a single year! 🙂 And I am proud of our friendship and ccoperation. BTW, being inspired with your last post about banned animals in circuses I wrote a new post about that problem. So THANK YOU for all you do, thank you for inspiring !!! Thanks you so much, my dear friend!!! This is a the first award in 2015!!! and again awarded and given by YOU! Thank you! Thank you my friend! It was my great pleasure to add this wonderful award t my awards’ list! Today in the evening I am going to inform about that on my FB page, sharing you link! Thank you again! Best wishes for you and your blog! All is mutual, thank you! I have nominated your blog for the Premio Dardos Award. A new award for me, and maybe for you. Thank you so much my friend!!! 🙂 This is a new award for me and again it is received from you! 🙂 Thank you! My pleasure 🙂 Nest wishes for you and people in Armenia! I saw that I was nominated on the first place, I am so honored. Thank you again! I added this wonderful award to my list! Thank to you also! Again THANK YOU!!! I am going to publish a new e-book in several minutes! 🙂 Titled: “Empathy”. A new award for me, and maybe for you as well. You very definitely derserve it 🙂 All the best for all you do! Thank you, all is mutual, I respect, read and appreciate your blog as well! It was pleasure to add this WONDERFUL award to my awards’ list! Thank you again!!!! Thank you very very much, my dear friend!!!! Thank you so much!!!! I hope the same! 🙂 An I love your blog so much, you know that! Best wishes, congrats and well deserved! I have nominated your blog for the YOU make a difference award. Thank you so much my dear Friend! I was thinking that is is already a LONG TIME that we are friends here in blog world and it is my pleasure to repeat once again that I deeply appreciate our friendship and honored with it! Thank you my friend! Thank you so much! You made my day! 🙂 Thank you! Thank you so much! You deserve it totally! Thank you! I’ll add the award to my awards’ page. Thank you again! Surely!! I am sure you will! I have nominated your blog for the Starlight Blogger Award. I new award for me, and maybe for you as well. Thank you so much my respectful and dear friend! Much appreciated! Accept my congrats on the award, you deserve!!!! The same to you!!! I am a BIG fan of your blog! I not only like your post but also read them and ALWAYS get use of them, thank you! I have nominated your blog for the Respect Award. Thank you so much. You totally deserver this awrad too as your work is rspectful and USEFUL! Thank you very much for namonation! BTW, you are right – this award is new for me and it is very nice! Thanks for your kind words, Arlen! You will probably get more awards. All my best wishes for you, your blog, and people and animals in Armenia! I have nominated your blog for the Black Cat Blue Sea Award. It is a new award for me, and maybe for you as well. Now that my blog has started again after my journey, I wish all the best for you, your blog, and others in Armenia! Thank you sooooooooooooooooo much!!!!! 🙂 All is mutual, my friend! Thank you very much, my dear friend! 🙂 You are always so attentive to my activity! 🙂 It’s great! Thanks! Thanks for your kind words! Best wishes for you, your poems and your blog! Thank you very much my friend! I deeply value our long lasting friendship!! A new blog award for me, maybe for you too. Thank you ever so much!!!! Much appreciated! This is my FIRST Award in this year and I am so thankful to you! Thank you very much! My dear friend, Thank you so much, it is my pleasure to add this awesome award to my awards’ list. Thank you! Congratulations, and happy 2018, dear Arlen! 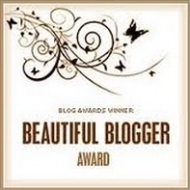 I have nominated your blog for the Awesome Blogger Award. A new award for me, and maybe also for you. Happy 2018 my dear friend! I wsh you may achievements in new year! Thank you for the award, this is my first award in 2018! 🙂 You totally deserved it, I ALWAYS follow your blog! Thank you for your kind and constant attention to my blog, too! I will only ask you to change my blog’s name, in future please write “Arlen Shahverdyan’s Literary blog” instead of “Առլեն Շահվերդյան. հեղինակային բլոգ-կայք”. Thank you in advance! Dear Arlen, thanks for your kind words! I will change your blog’s name at the links of my blog. Your blog with its new name is now at my blog’s links under Various blogs. I added the new award to my awards’ list with great pleasure! Thank you again! Your list will grow longer still 🙂 I have made the name change at my blog. All the best for you and people in Armenia! Thank you so much! Under the old name, your blog used to be under Animals, but because of the more varied content now, I moved it. Thank you, I am very touched! I changed the name of my blog because its main content now is my literary works: poems, books, novels. As You know I always translate my poems making them available for my foreign readers. Thank you again for understanding and support! Much appreciated! Like always, you deserve it very much! Congratulations, and I wish you many more birthdays yet!